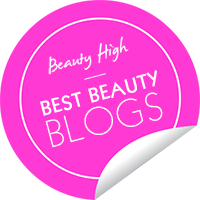 The RAEviewer - A blog about luxury and high-end cosmetics: There are Bright Lights.. and there are Bright Blushers! 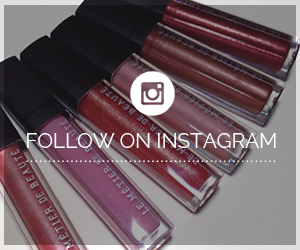 There are Bright Lights.. and there are Bright Blushers! 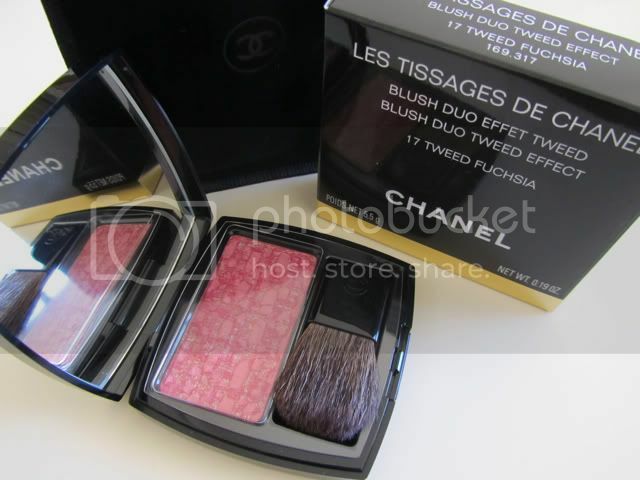 Tweed Blushers aren't my favorite Chanel products but I'm loving this fuchsia release. Furthermore, Chanel's Holiday collection doesn't scream "holiday" at all but for some reason, it has grown on me. It's all very wearable! What is unfortunate about this particular product range, however, is the gold overspray. I've used the blusher four or five times now and the gold shimmers are barely visible. I wish Chanel would reformulate the product so that the gold specks would be incorporated throughout the entire product but for now, we can use this as a matte blusher and add a bit of highlighter to compensate! I've seen the well-loved testers at my local Nordstrom and in my friends' bathrooms. After much use, you will wind up with matte baby pink and vivid fuchsia squares. Sadly, the unique tweed pattern will have faded away with the gold shimmers as well. The blushers are very finely milled, as a Chanel blusher should be, and this particular tweed blusher is more pigmented so you only need a swipe or two. The permanent pink and coral blushers, available all year round, are less pigmented so you will need to swipe several times for the color to appear on the skin. I think this is a great purchase if you're looking for a bright holiday blusher! It gives me flushed cheeks, as if I've been playing in the snow, and I can't get enough of it! And I know some of you may be curious.. YES, the mini brush included is actually of use. It's soft, dense, and allows you to touch-up the color with precision and ease in your car before you step out to join the party! Dupes? If you purchased Pink Explosion from Chanel's Fall 2010 collection, you can skip this product. The colors are similar enough but I prefer the texture of the tweed blusher since the baked Joues Contrastes from last season are a touch more powdery. The Fuchsia Tweed Blusher a limited edition product so make it yours while you still can! OMO its so gorgeous! Thanks for reviewing. I might be getting it since my local macy's store finally brought the chanel counter. YAY! Thank you for this blog post, Rae. I love the Chanel Holiday Colletion. However, nothing seems compelling enough for me to purchase. I've mulled over the eyeshadow quad, but I feel like I have enough similar shades. I was debating over this blusher, as it seemed to be the most unique part of the collection. But another blusher? I seemed to have acquired so many as of late (thanks Rock & Republic on Hautelook). Your review is pretty convincing though, and I think I might go back to my Chanel counter and have another look. I don't own a fuchsia blusher, so it may be justifiable. Yomi and Anon - It's prettier in person :) Don't let the counter's tester fool you; ask the SA to open up a new one for you and it will win you over! Tina - I tell myself that every time I purchase a new blusher =^.^= This one really is worth the high price tag, though. It melds with the skin and looks so natural! I adore Chanel Duo Tweed blushes. I love the tweed pink one. The fuchsia colour looks gorgeous. Looks like a flattering colour for summer. This is a ridiculously gorgeous blush. But it would be nice as you mentioned if Chanel did incorporate gold particles infused throughout to give a more radiant glow. 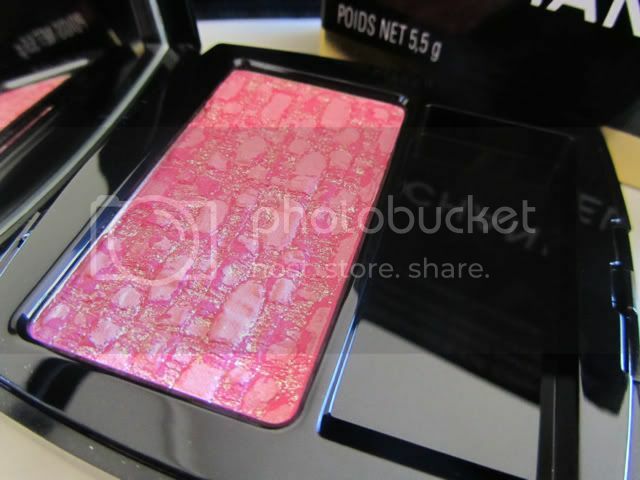 Thats a very pretty blush =) I like how it has some gold shimmers to it. ROCK & REPUBLIC BEAUTY SALE!